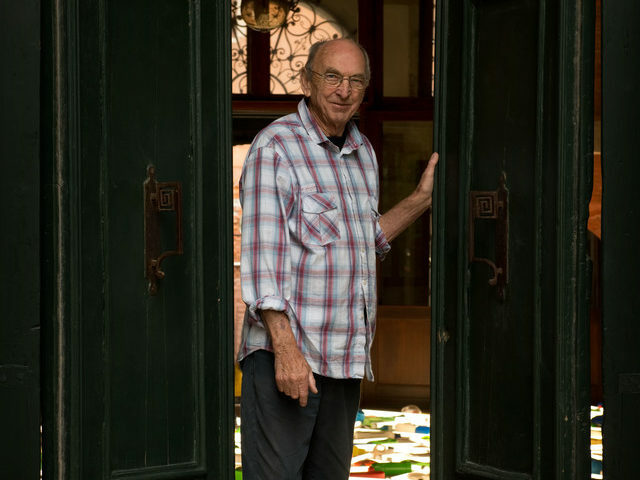 Bill was our artist for the 55th Venice Biennale in 2013. It was only the sixth time New Zealand had shown officially at this mega-biennale — and he did us proud. New Zealand’s Commissioner for the 55th Biennale, Jenny Harper, said the following about his work. “His response to an unusual site beside Santa Maria della Pietà spoke of the assuredness of his years of experience as well as a ‘down under’ practicality,” she said. Farewell, Bill. Your art will do your task now, continuing to work its magic for us all.